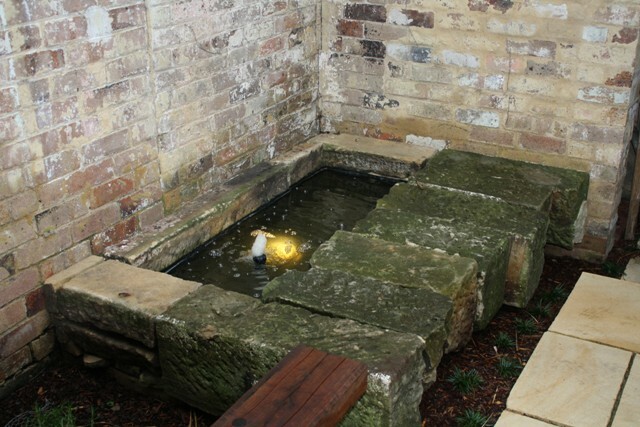 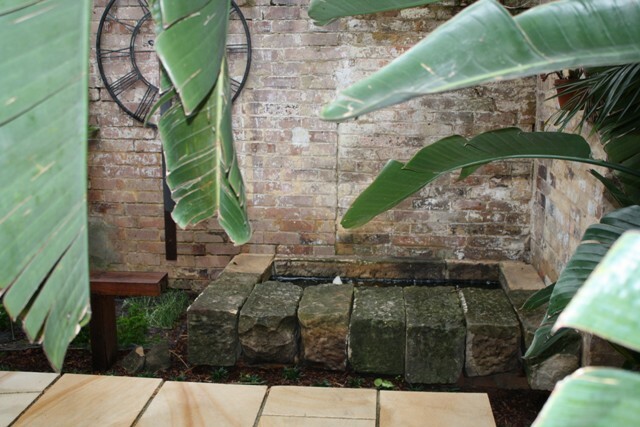 Garden design can reflect your personal interests and tastes. 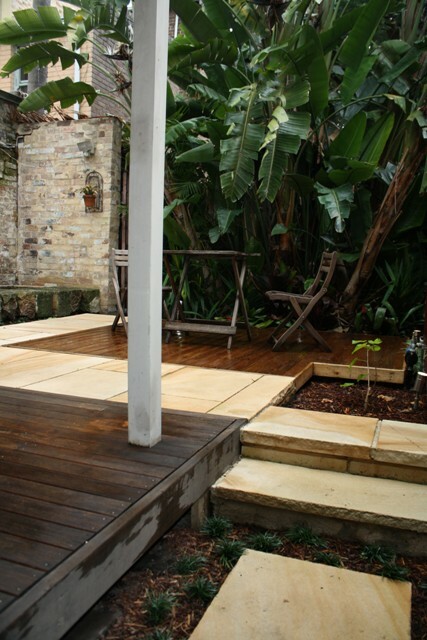 Regardless of the size of your garden it can provide you with space for outdoor entertaining, meditative contemplation, vegie growing or whatever you desire. 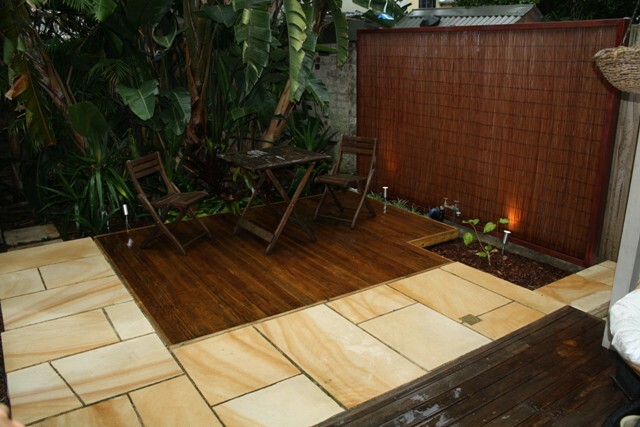 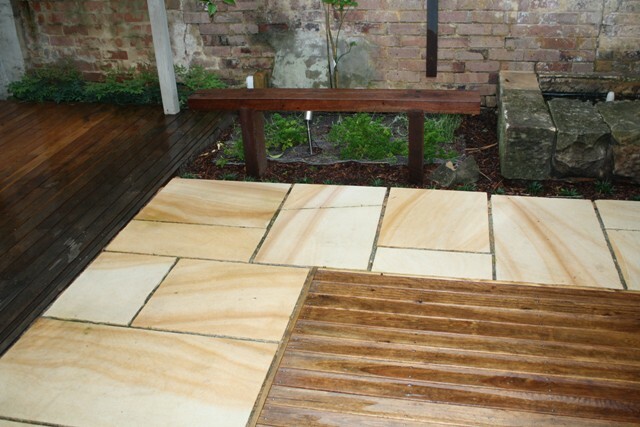 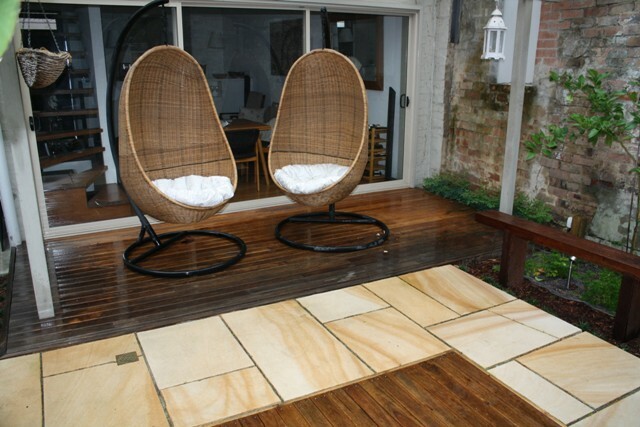 With the right design a garden can enhance your quality of life and add value to your home. 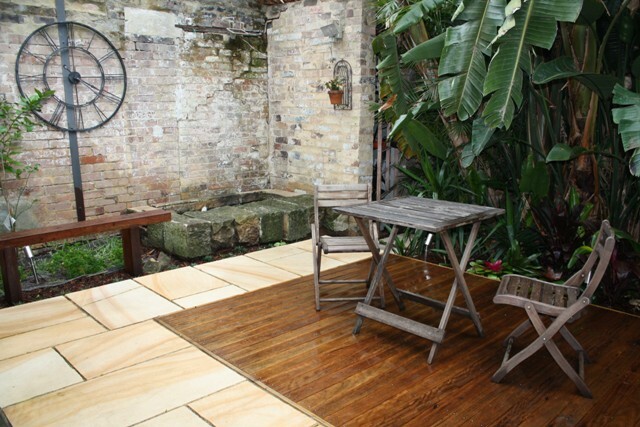 This Surry Hills garden provides a pleasant and convenient space for entertaining friends or simply enjoying the fresh air. 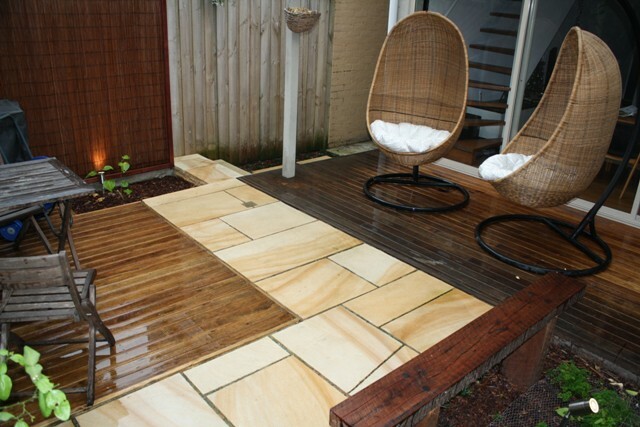 Featuring a user-friendly ‘walk-out’ deck, a ‘reclaimed’ sandstone water feature, a cane privacy screen, automatic irrigation system and garden lighting.